After webbing up a web-based augmented reality experience to promote the theatrical release of Spider-man: Into the Spider-verse, Sony has ordered a new AR activation from creative agency Igniteie to promote the Blu-ray, DVD, and streaming digital video release of the film. Like the first version, the new AR promotion runs on the web-based AR toolkit from 8th Wall, which enabled Ignite to bring Spider-man into the real world and give users the ability to capture photos of the web-head, which they can then sell to J. Jonah Jameson. You can try the experience yourself here by scanning the code on the website with your smartphone or tablet camera (iOS and Android devices work just fine), no app needed. 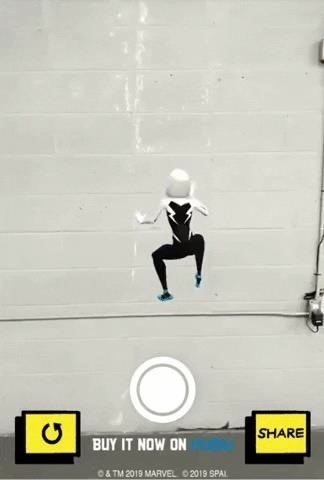 In the AR sequel (built with A-Frame, users can now bring the Peter Parker and Gwen Stacy versions of Spider-man, in addition to the Miles Morales character, into their physical space. Second, the agency added a manual marker so that users can align their camera view with a vertical surface. 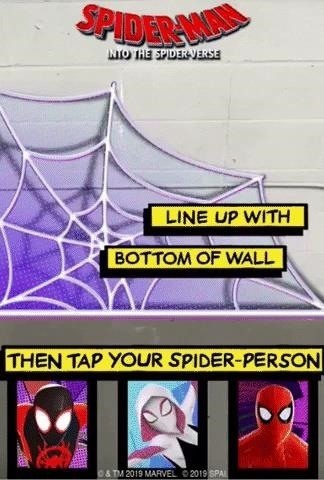 Now, once users select a character, the chosen Spider-person not only arrives in the real world, but also appears to climb up and jump off walls. 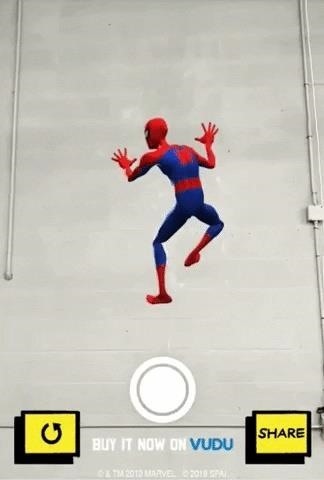 The new AR experience enables Sony to capitalize on a missed opportunity from the first edition, as trailers and TV spots for the movie made it clear that multiple versions of Spider-man would appear in the film (the AR experience promoting the movie made only one version available). 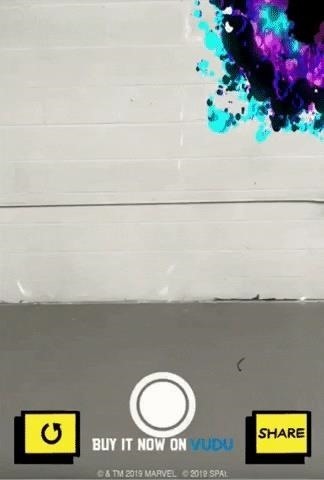 Moreover, the AR experience gives Marvel fans yet another opportunity to bring their favorite characters into their worlds, with the Iron Man AR Helmet, the Marvel Playmoji pack for Pixel's Playground app, and the Explore Wakanda app starring Black Panther among the AR options out there for Stan Lee's disciples.